For an investment of no less than $1,000 per year ($86 a month) for four years, you can help fund a scholarship and provide one of our participants with the greatest gift of all – the opportunity to achieve their goals at a college of their choosing. Without the financial support that Youth on Course scholarships provide, higher education would be out of reach for many of our recipients. Your scholarship fund will follow the recipient all four years of their collegiate career. Youth on Course is a 501(c) 3 non-profit, so your donation is tax-deductible, and can be paid all at once, $1,000 a year or $86 a month for four years. Youth on Course scholarships are both need and merit based. All recipients excelled academically as well as socially – and participated in Youth on Course in some capacity. Many of our scholarship recipients have overcome great adversity, and many are the first in their family to attend college. Participants must graduate an accredited high school with a GPA of 3.0 or higher and be heading to a four-year college or university. Will I receive updates from my scholar? Yes. We connect with the scholarship recipients each year to confirm eligibility and get updates which we then pass on to their scholarship donor. Is there an awards banquet for the scholarship recipients? Yes! 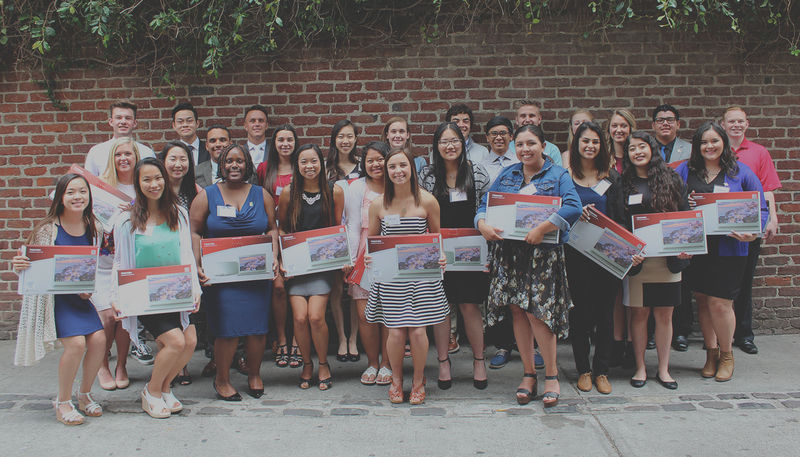 We host a wonderful event each year and all scholarship donors will be invited to meet their recipient in person. Will I get my own scholarship recipient? Yes, however, we strongly encourage our scholarship donors to consider partnering with another donor to make a greater impact on our recipients. If needed, we are happy to facilitate those relationships. Either way, you will have the opportunity to meet the recipient of your scholarship at our annual luncheon and will be given personalized updates as they continue their education. Can I name my scholarship? Yes. After making your scholarship pledge you will be able to name your scholarship on behalf of your family, business, friend, etc. 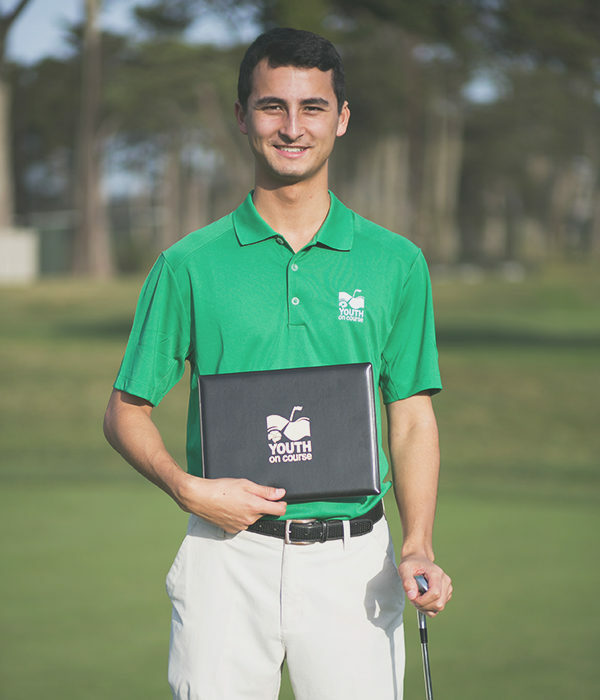 How do Youth on Course and the First Tee work together? The First Tee introduces youth to the game, providing golf and life skills to better interact with adults and conduct themselves on the course. Youth on Course compliments The First Tee by providing additional opportunities for kids. We allow kids in The First Tee and other programs the opportunity to play hundreds of courses nationwide for $5 or less. 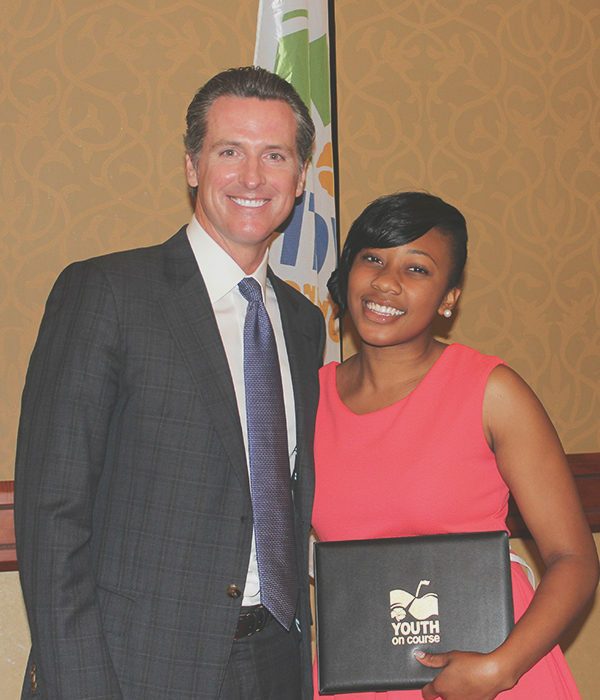 We also offer need and merit-based opportunities in Northern California, such as caddie training and paid high school internships. Youth on Course college scholarships are offered to all of our members in each participating region. How much is it to fund a scholarship? Our scholarships are typically $4,000 or more per student. Generally, donations are pledged and paid $1,000 a year for four years.